Just how important are tears when it comes to the eye? Tears come in many forms and are a necessary feature of the human eye. In fact, you may find yourself shedding tears or crying, due to a range of emotions and are asking if tears have any benefits for your health and eyes. 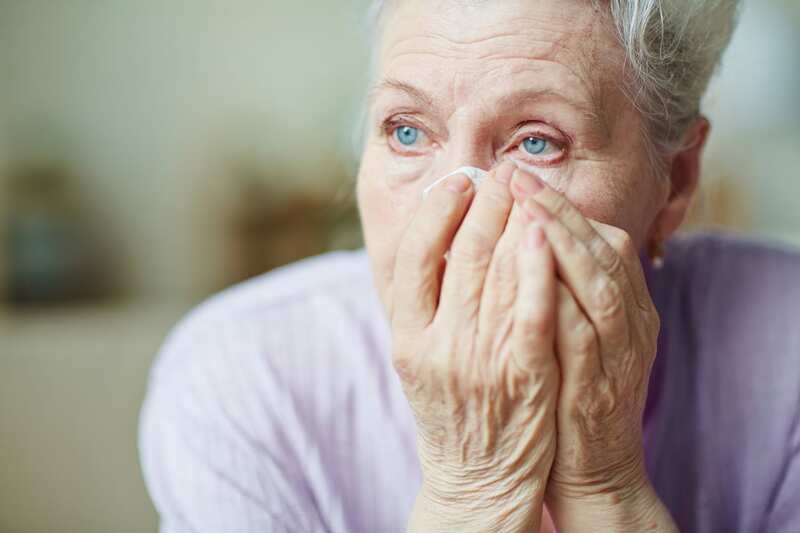 There are several types of tears shed through crying; Florida Eye Specialists and Cataract Institute would like to help you learn more about these and other types of tears. There are a number of times when emotion is expressed through tears. According to Medical News Today, women cry more than men, at an average of 3.5 times a month and men at 1.9 times a month. With this in mind, you might ask what are the types of tears? Since crying causes just one type of tear in the eye, you will want to learn more about the other types of tears. Mostly when people talk about shedding tears, it is due to an emotional reason. However, the other types of tears can be shed as well. Here is a brief description of the three types of tears. Basal – Basal tears are constantly secreted by the tear ducts and are rich in protein. They also have anti-bacterial qualities. Every time you blink, basal tears help keep the eyes moist. Emotional – these tears are shed as a reaction to a full range of emotions and contain higher levels of stress hormones than other tears. Emotional tears can help your psychological health as pain-killing endorphins are released. They may contain proteins and hormones that are not found in basal or reflex tears. Reflex – Reflex tears are triggered by irritants, such as onions, smoke or wind. Their purpose is to flush away the irritants for eye protection. Released in larger amounts than basal tears, they may contain antibodies that help fight bacteria. Whether you are crying or not, tears are present at all times in your eyes. They lubricate, protect and sustain the cornea of the eye. Not only do they shield you from debris and dirt of the world outside, but tears are also a constant barrier from harmful irritants. Reflex tears can often come to the rescue when your eyes have been attacked by such substances as fumes, onions or smoke. According to Alcon, lacrimal glands, located above the eye, produce tears every time we blink. Would you believe that the American Academy of Ophthalmology has stated that a humongous 15-30 gallons of tears are produced each year by a person! When you blink, tears spread across the surface, then drain into puncta, which are tiny holes in the upper and lower corners of the eyelid. From here they travel through small canals that line the lids and flow down a duct, as they then empty in the nose. From the nose, they are either absorbed again or evaporate. A blocked tear duct can happen in a baby; it usually resolves by itself. Adults can experience a blocked tear duct due to an infection, injury, swelling or tumor. If this in fact happens, it should be checked out by the physicians at Florida Eye Specialists and Cataract Institute. With the situation of reflex or heavy emotional tears, the lacrimal drainage system is overwhelmed, causing the tears to spill out of the eye as well as dribble from your nose while they appear to run down your cheeks. How Do Tears Have Layers? As you age, less basal tears are produced, and the symptoms of “dry eye” develop. This can also occur in pregnant women and those who are undergoing changes in hormones. You might be experiencing dry eye as you enter menopause. Certain medications as well as contact lenses can add to the condition of dry eye. With dry eye, you may also experience blepharitis, which results in eyelid swelling or irritation. However, there are some home remedies that can be used to help dry eye. Blinking more helps spread the protective layer of oil over the eye, which helps keep it moist. The ideal time is from 14 to 18 times per minute. A diet high in fish and nuts contain omega-3 and omega-6 oils. They serve to replenish the oils in the eye, which are similar to these fatty acids. Salmon and walnuts added to your diet will help the eyes. If these foods aren’t included on your menu, take a fish oil supplement. Humidify a home that is dry. Hot, circulating air can add dryness to the moisture of the eye. If the dry air at work is a problem, you can purchase a desktop humidifier to add moisture to your cubicle. Wind adds to the evaporation of moisture in the eye, making it dry faster. Avoid weather conditions that are blustery and stay away from heat ducts. If you have to go outside when it is windy, be sure to wear sunglasses or regular glasses to block the breezes from reaching the unprotected eye. If you are still feeling dry eye as a symptom and have tried these other tips, it may be time to see a specialist at Florida Eye Specialists and Cataract Institute. With the latest technologies and the best physicians and employees, your care is personalized. You are treated as family, as our clients are an extension of our medical family. Now that you know how important tears are to the health of your eye, you can find help if you experience dry eye or other irritation, redness or swelling. Florida Eye Specialists and Cataract Institute is Tampa’s leader in complete eye care. As the premier surgery and eye care center on the western coast of Florida since 1981, we utilize the latest technologies and treatments. Come in for an exam or give us a call to arrange an appointment. Not all tips will work for everyone. This article should not replace in-person medical treatment. Call Florida Eye Specialists and Cataract Institute to learn more.